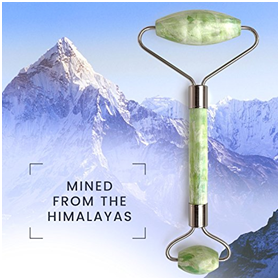 A jade roller is one of the oldest beauty tools in history that continue to gain popularity for the many different ways it improves the skin. It first rose to fame among the elite families during the ancient Chinese, Egyptian and Indian civilizations. It’s during the turn of the 21st century, however, that the tool that was once exclusively accessible to the rich and powerful, has finally made its way to the homes of almost every beauty enthusiast around. What does a jade roller do? What are the best jade roller benefits you need to know? Morning puffiness is usually normal and can be caused by many different things such as salt or alcohol intake, lack of sleep or dehydration among many others. One great way to ease puffiness is by giving your face a gentle jade roller massage. Jade is typically cool and, when stored in the fridge overnight, can feel soothing to roll on the face every morning to deflate the swollen areas on your face. It’s also convenient to use as it only takes less than 10 minutes to remove puffiness. 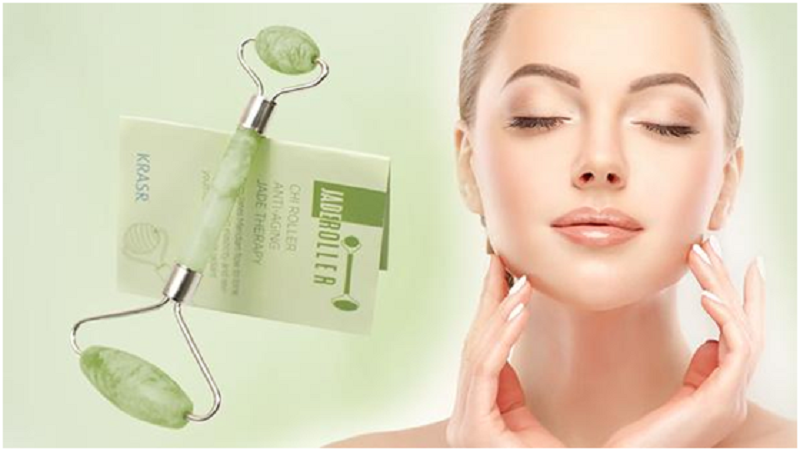 Using a jade roller promotes elastin and collagen production. Elastin and collagen are two types of protein that work to help increase elasticity, strength and vitality to the skin, to give it a youthful vigor and appearance. Lymphatic drainage is done in the same way that the jade roller reduces puffiness. Jade rollers helps flush out toxins and excess fluid sitting under the layers of the skin by pushing them towards various drainage points in the body. Using a roller on an upward and outward motion on the face and neck can move the toxins and fluid towards drainage points such as those near the ears and along the clavicle. Facilitating lymphatic drainage can help boost the lymphatic system which serves as one of the body’s layer of protection against illnesses. Jade stone contains minerals that can help lighten the skin. Gently massaging the roller on the under eye bags is therefore recommended to reduce their appearance by easing swollenness and lightening the skin on the area. Jade rollers emit a sensation that is almost similar to getting a facial massage at the spa. The massage you get from it promotes proper blood circulation underneath the skin to give it a glowing, healthy appearance. Jade rolling, in itself, does not only help promote skin vitality but also encourages other products in your beauty routine to get absorbed in the skin, therefore allowing them to work better. When gently massaged on the skin, the tool pushes the products on the surface on the skin through to the pores. The process allows beauty products to work better in the least time possible. These jade roller benefits are some of the biggest reasons why more people continue to fall in love with the tool. It’s unique, easy to use, and feels great on the skin. Aside from that, the tool also works on all skin types and does not have any risk or adverse side effects. When you come to think of it, jade rollers work in almost the same way that other beauty secrets such as staying hydrated and getting proper sleep do ­­– simple, easy and effective. They also contain the same luxurious feeling of getting pampered and beautified at the same time. It’s a classic tool that’s not taking the sidelines anytime soon.